It’s been a couple years since EA took us (again) down the addictive rabbit hole that is Skate 3. It seems with every passing entry in the game, there is a back-and-forth to which entry garners the most attention. Trust me, it took nearly a year for me to admit the third entry is mechanically the best game of the series, despite completely changing the zany on-the-spot challenges of the Hall-of-Meat branch of the game, adding possibly the cheesiest ‘coach’ in the Jason Lee-voiced Coach Frank and for all intents and purposes not really changing anything about it. 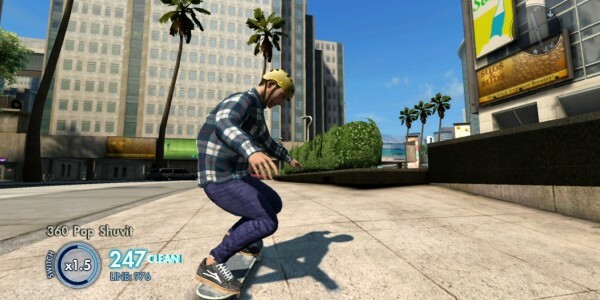 This brings me to the focus of what will certainly be a string of articles having to do with long-awaited sequels, announced or purely imagined, in the gaming sector – is there enough to expand upon at this point to consider a new entry in the Skate series? If you’ve played along with the Skate series, you’d know by now that it arguably killed the Tony Hawk Pro Skater franchise with little, if any, regret. How though? Chalk it up to Tony Hawk simply losing steam, or even to the increased realistic difficult of a game like Skate with a completely different style of play – it was enough to cause a slow, yet eventual switch in the power struggle of skating games. Even Shaun White’s licensed game couldn’t compete. That being said, Skate 3 brought us a new territory with some different elements, the ability to create teams, both on and offline, and pretty much build dream skate parks in the process. The online play was a bit smoother and gave us a ton of new options. Sure, it isn’t quite as exciting as a game of Madden or Call of Duty, but it was reasonable enough that it was given more than full attention – probably almost as much as the single player campaign. As mentioned before, the biggest difference, at least in a normal play of the game, lies in the revamp of the HOM branch of the game. Rather than allow you a list of feats in bone-breaking fun to be completed at your leisure as you shred through San Van, you’re forced to complete specific tasks in specific areas. It’s a bit frustrating to be so confined by a game that otherwise feels so explicitly open. The weirder thing is that instead of instantly putting you into a mode that scores you on your crash, you somehow get to see exactly what bones are breaking in pretty much real-time. It’s a harsh trade to take, but it makes up for it a bit when you get to yell across your apartment, ‘Look, I just fell off a building and only shattered my feet,’ much to the dismay of your annoyed girlfriend who doesn’t enjoy Skate anywhere near as much. So the question becomes, does it warrant anyone to build anticipation for a new Skate game that may or may not come our way? Truthfully, another full game at the retail tilt of sixty bones for a disc might be a bit too much to ask. In terms of mechanics and gameplay, Skate offers little to improve upon besides perhaps finding a way to find a meeting point between parts 2 and 3 in terms of crashing your poor, miniature self into cement over and over for a cheap thrill. The online play at this point is also plateauing, as you can only do the same events on the same spots so many times before things get dull – it might have already reached that point. The solution, if attention is still warranted at this point, would be to release a bigger set of DLC parks, something much more concrete and spanning than the 400 point mini-parks they’ve been throwing us that come with maybe a dozen challenges. If the water is still warm enough, it’ll sell. I feel that there is still enough of a market for this game that DLC would do better than another full on game, mostly considering the fact that Black Box was hugely criticized for a lack of true progression in the newest installment of the game. Skate 4 might not be a true reality for anyone, but for someone as addicted to these games as I am, the continual territorial progression of skating and landing that next biggest trick is a rush and satisfaction rarely duplicated. I don’t think Skate 4 is necessarily the next step for the franchise, but if it is, I would only urge whoever is putting the chips on it to make sure you don’t take the path of other failed action sports franchises and ruin what makes your games fun for those of us playing them – the determination and success of trying something a hundred times and finally not smashing on our faces in the end.